Roda Golf and Beach Resort Information. 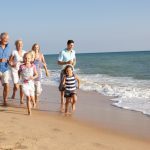 Independent info about Roda Golf & Beach Resort, Murcia. Welcome to Roda Golf Info! If you are considering a move to Roda Golf and Beach Resort in Murcia, Spain you have come to the right place! 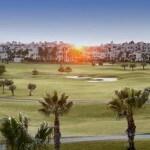 A move to Spain and the Murcia region is full of rewards, the sun, the easier way of life, and for many the golf! However, decent information about Roda Golf is hard to come by. A quick search for "Roda Golf" will quickly swamp you with estate agents, where selling is the high priority and information is buried or not available at all. On this site we would like to offer every piece of information that exists about Roda Golf and Beach Resort. We have detailed descriptions of the area, the properties and . We have multimedia coverage including video, pictures and virtual panoramas. We have independent interviews with residents and experts. And perhaps best of all, thanks to our sponsors Calida International Properties, we can bring you the we have our constantly updated RODA GOLF NEWS section! Why not make a start by checking the "Resources" on the right? We know that you have to search everywhere for floor plans, videos, high resolution photos and more. We know because we did it for you! Download away with our compliments and learn more about Roda Golf and Beach Resort! Regularly updated with news and views, we'd love to hear your opinion!